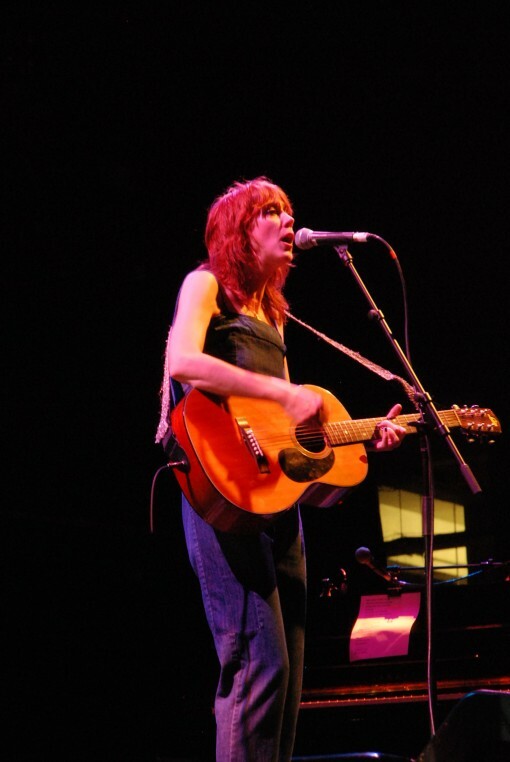 Beth Orton played a free show on Saturday night at Celebrate Brooklyn! and I think it turned out to be a very pleasant evening for everyone involved. I really enjoy Beth’s music, and her acoustic set accompanied by multinstrumentalist Rob Moose was enthusiastically received by the respectful and appreciative Park Slope crowd. The only quibble I have with Beth is her tendency to be overly self-deprecating (she has been known to suffer stage fright and I suspect this is a way of dealing with it), what starts off as cute and charming quickly becomes distracting when it’s used as a crutch. On a side note, it was my first time “officially” shooting a Celebrate Brooklyn show, and while the results didn’t turn out as well as I had hoped, I did manage to come away with a couple passable shots. You can view the full flickr set over here. Next Post Hey Seattle! Go to Neumos Tonight!